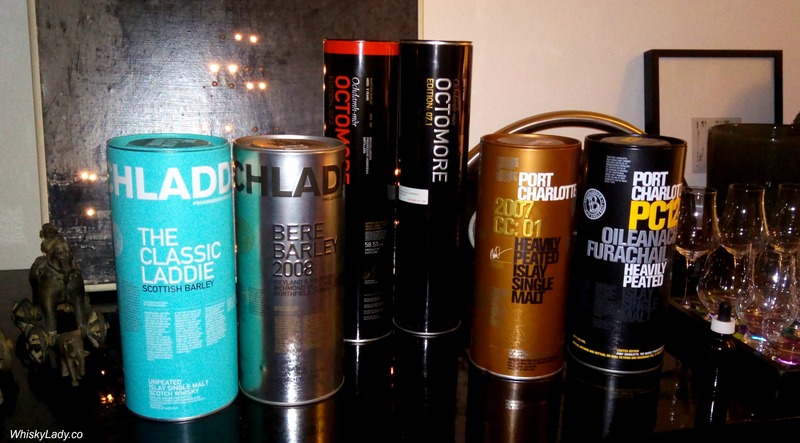 As all but the Classic Laddie and Octomore 7.1 were my bottles, I decided to share with our original underground group too – just to contrast and compare what the Whisky Ladies thought vs another Mumbai malt club! Which meant the Whisky Ladies experience was with freshly opened bottles (except the 7.1) whereas the original club’s sampling was from open bottles (except The Laddie Eight) – which does change the whisky as it starts to oxidate even with a ‘vacu-vin’ trick to slow down the process. Added to the mix was a follow-up tasting with two Whisky Ladies who could not make it to the main event but were not willing to be left behind our whisky adventures! The tasting notes tell you as much about the whisky tasting sessions as they do about the whisky itself!! 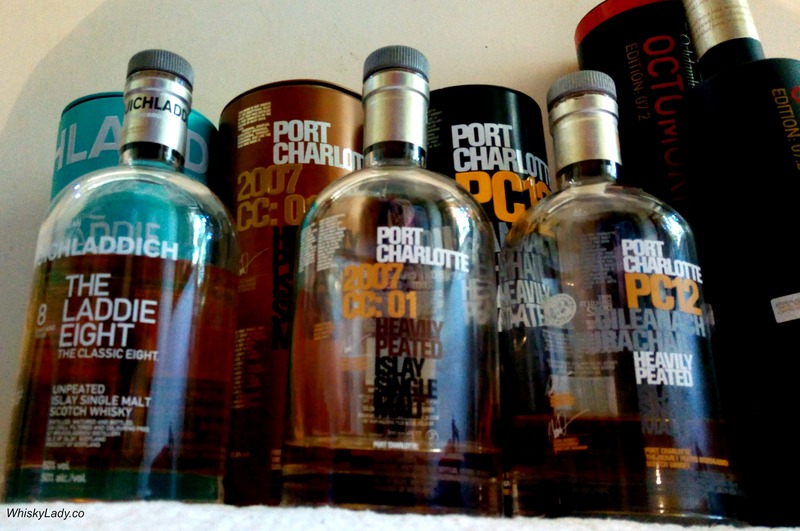 This entry was posted in Islay, Scotland and tagged Bruichladdich, Bruichladdich Octomore, Bruichladdich Port Charlotte, Laddie, Peat, Port Charlotte by Carissa Hickling. Bookmark the permalink. Wish I was there for all that stupendous Bruichladdich! I now to reveled in its excellence! It was indeed an exceptional experience x 3 as I enjoyed it originally with the Whisky Ladies, then a mini session with two ladies followed by a full house of our original club! As a fan of Bruichladdich I follow #bruichladdich on WordPress. Whisky Lady in India has posted some very excellent blogs on her site that I enjoyed very much. In fact so much that I asked if I could reblog them on my page. I was allowed to and naturally I will mention her page and other social media links.